This page was contributed by Clarke Ingram. It was created on Jan. 13, 2014. July 7, 1961. William D. Stone seeks 1410 kc; 1 kw-D. Address: Box 8305, South Charleston. Estimated construction cost $22,850; first year operating cost $38,000; revenue $48,000. William D. Stone, sole owner, owns firm leasing and maintaining two-way radio communications systems, is Civil Defense unit supervisor and is director and minority stockholder of WWYO, Pineville, W. Va.
June 13, 1962. 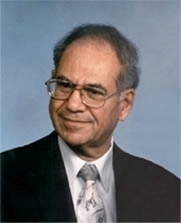 Richard E. Herman.seeks 1410 kc, 1 kw-D, at Fayetteville, W. Va.�Address: 4209 Virginia Ave. S.E., Charleston. Estimated construction cost $12,620; first year operating cost $43,200; revenue $54,000. Mr. Herman is CPA. October 15, 1962.�Broadcasting reports that application of William D. Stone for 1410 kc, 1 kw-D at South Charleston has been accepted for processing. March 20, 1963. William D. Stone granted CP for new AM station on 1410 kc, 1 kw-D at South Charleston. A new radio station and the state’s first car telephone service are expected to go into operation here next month. 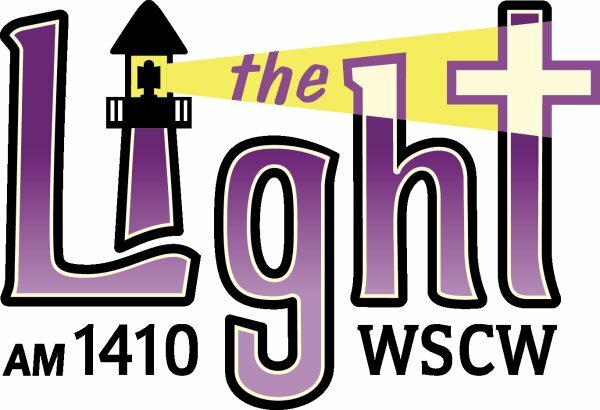 Capitol Communication Co. of South Charleston reported Monday that it has been authorized to establish station WRDS at 1410 on the AM radio dial, with 1,000 watts of power during daylight hours. The station will broadcast 60 per cent country music, program director Ted Wolfe said. It will be housed in a two-story building at 605 D St. in South Charleston and will have a 300-foot tower in North Charleston. Crews will begin erecting the tower, near Nease Drive, next week, Wolfe said. Mounted on the tower will be an antenna for car-telephone communications, which will allow subscribers to place and receive telephone calls in their automobiles 24 hours a day. Capitol Communication Co. will ask the Public Service Commission to set a monthly rate of $37.50 for the car-phone service, Wolfe said. William D. Stone is owner of the firm. August 19, 1964. Station is granted license to cover as WRDS. February 28, 1966. Broadcasting lists WRDS as one of 16 stations newly signed to carry the King Features Syndicate radio program "Here's Heloise." March 22, 1966.�WRDS seeks CP to change frequency from 1410 kc. to 1450 kc. and change hours of� operation from daytime to unlimited using power of 1 kw-D, 250 w-N,. August 17, 1966.�FCC grants waiver of section 73.37 of overlap rules and accepts for filing application of William D. Stone to change facilities of WRDS from 1410 kc, 1 kw-D, to 1450 kc, 1 kw-D, 250 w-N.
December 21, 1966. Claude R. Hill. Jr. seeks 1450 kc, 1 kw-D, 250 w-N, at Fayetteville, W. Va. Address: Box 356, Love Building. Fayetteville. Estimated construction cost $22.500: first-year operating cost $42,000;�revenue $45,000. Principal: Claude R. Hill, Jr. Mr. Hill is attorney and banker. January 9, 1967. Broadcasting lists WRDS as one of 32 radio stations that withdrew from the National Association of Broadcasters (NAB) radio code during the period ending November 15, 1966. October 1, 1968. FCC grants WRDS pre-sunrise authority (PSRA)�with 500 watts. October 7, 1968. Broadcasting reports eleven metropolitan representatives (plus alternates)�have been elected to two-year terms on the Mutual Broadcasting System Affiliates Advisory Council. One of the alternates is William D. Stone, owner of WRDS. October 30, 1968. FCC designates for consolidated hearing applications of WRDS South Charleston and Claude R. Hill Jr.. Fayetteville. WRDS seeks change from 1410 kc. 1 kw-D, to 1450 kc, 1 kw-D. 250 w-N. Mr. Hill seeks new AM station at Fayetteville on 1450 kc, 1 kw-D, 250 w-N.
November 5, 1968. Chief Hearing Examiner James D. Cunningham, in South Charleston and Fayetteville. AM proceeding, designates Hearing Examiner Millard F. French as presiding officer; scheduled prehearing conference for December 17 and hearing for January 23, 1969. February 25, 1969. FCC�dismisses�application of Claude R. Hill Jr. for new AM station at Fayetteville for failure to prosecute. June 30, 1969. FCC, in initial decision, looks toward granting CP to WRDS to change from 1410 kc, 1 kw-D, to 1450 kc. 1 kw-D. 250 w-N.
February 24, 1970. FCC review board denies application of William D. Stone for CP to change frequency of WRDS�and change daytime-only station to full-time facility. Mr. Stone had requested authority to become Class IV AM on 1450 kHz, 1 kw-D, 250 w-N.
October 2, 1974. FCC notifies WRDS that it has incurred apparent liability for forfeiture of $1,000 for operating with power in excess of that authorized. January 14, 1975. FCC orders WRDS to forfeit $1,000 for repeated failure to observe rules which require that actual antenna input power of station not be less than 90% nor greater than 105% of authorized power. July 23, 1975. WRDS seeks assignment of license from�Stone Broadcasting Co. to CLW Broadcasters Inc. for $125,000. Sellers, William D. Stone Sr. and William D. Stone Jr., have interests in meat packing and two-way paging firms. Buyer, religious broadcasting consultant and program supplying firm, is wholly owned subsidiary of AMG International, non-profit international missionary organization that supplies religious programs to radio stations in U.S. and abroad. Spiros Zodhiates (pictured) is president. WRDS is first of six radio stations that AMG says it plans to acquire. September 29, 1975.�FCC grants assignment of license from Stone Broadcasting Co.to CLW Broadcasters Inc. for $125,000. Broadcasting notes that seller, William D. Stone, president, wishes to divest interest due to illness. November 17, 1975. Broadcasting reports that WRDS has applied for the call letters WSCW. January 5, 1976. Broadcasting reports that the WSCW call letters have been granted. Jan. 24, 1976. An advertisement for WSCW with the program schedule in the Charleston Daily Mail is here. July 16, 1981. WSCW seeks CP to change TL to Neese Drive. 0.8 miles north of U.S. naval ordinance plant, near South Charleston. August 13, 1981.�FCC grants CP for WSCW�to change TL, as above. August 25, 1981. In response to petition by Communicast Inc., FCC proposes assigning 100.9 mhz to Charleston as its fifth FM. September 22, 1981. WSCW seeks CP to increase power to 5 kw and change TL. February 3, 1982. FCC grants CP for WSCW to increase power to 5 kw and change TL, as above. April 12, 1982. FCC assigns 100.9 mhz to Charleston as its fifth FM; effective June 22. August 25, 1982. WSCW seeks modification of CP to change TL. August 27, 1982. Women's Coalition for Better Broadcasting seeks 100.9 mhz, 1.7 kw, HAAT: 377 ft. Address: Box 52, Greenville, S.C. 29602. Principals: Frances R. McClure (75 %) and daughter, Carolyn L. McClure (25 %), who are wife and daughter, respectively, of J.R. McClure, owner of KHYM(AM) Gilmer, Tex., and proposed assignee of WMAX(AM) Grand Rapids, Mich.
January 24, 1983. Communicast seeks 100.9 mhz, 900 w, HAAT: 500 ft. Address: 1415 Rhode Island Ave., N.W. Washington. D.C. 20005. Principal: William A. Clark (100%). who is employee of WMAL(AM) Washington. Also on January 24, 1983. CLW Communications Group seeks 100.9 mhz. 3 kw. HAAT: 300 ft. Address: 6815 Shallowford Road, Chattanooga, Tenn.�37421. Principal: Subsidiary of AMG International, nonprofit corporation; Spiros Zodhiates, president. It owns WHYD(AM) Columbus, Ga.; WSCW(AM) South Charleston, W. Va.. and WCRM(FM) Dundee. Ill., plus CP for new TV station at Jackson, Tenn.
February 25, 1983. James S. Hoge seeks 100.9 mhz; 3�kw; HAAT: 300 ft. Address: Box 854, Charleston, W. Va. 25323: Principal: James S. Hoge (100 %) is former employee at WGKV(AM)-WKLC(FM) St. Albans, W. Va.
June 9, 1983.� The FCC returns James S.�Hoge's application for 100.9 mhz. September 10, 1984. Broadcasting reports that FCC has granted joint request and dismissed applications of Women's Coalition for Better Broadcasting and Communicast with prejudice, granted application of CLW Communications Group for new FM on 100.9 mhz at South Charleston, and terminated proceeding. December 17, 1984. Broadcasting reports that�100.9 has been assigned the call letters WUQU (possibly randomly assigned, and apparently never used). January 21, 1985.�Broadcasting reports that Henry Goldman, general manager, WCHS-TV, Charleston, joins CLW Communications, Chattanooga, as VP, broadcast division. CLW owns WHYD(AM) Columbus, Ga.; WCRM(FM) Dundee, Ill.; WSCW(AM) South Charleston, and CP for new FM in South Charleston on 100.9 mHz, which has been granted a call letter change to WSCW-FM. March 26, 1985. WSCW-FM seeks modification of CP to change TL and make changes in antenna system. April 30, 1985. FCC grants application of WSCW-FM to change TL. June 4, 1985. WSCW-FM changes call letters to WJYP. December 3, 2002.�100.9 changes call letters to WJYP-FM as co-owned AM 1300 in nearby St. Albans becomes WJYP(AM). October 29, 2003. WJYP-FM changes call letters to WMXE. This article was supplied by the station for a 1989 publication by the West Virginia Broadcasters Association. On December 13, 1963 WSCW AM came on the air at 1410 khz. Now with 5 kw. daytime power, the station formats southern gospel and teaching programs. Co-owned WJYP FM first aired programming July 29, 1985 at 100.9 mHz; 3 kw power. The stereo-broadcast format for the FM is inspirational light contemporary. Other special programming includes youth ministry with original local programs. The stations were acquired by CLW Communications Group, Inc., Dr. Spiros Zodhiates, president. General manager is Rex Whaley. The stations are located at 605½ D Street, South Charleston.